I’m curious, does anyone have any idea what part of the total income of the people sending the money this represents? and how many people in total are sending the money? what would be the typical earnings of an individual? Interesting question! I don’t recall seeing figures that would answer your question, but will now keep my eyes open. 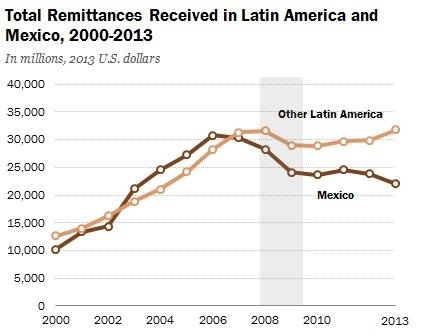 Most of the statistics for remittances focus on the receiving individuals and communities, but you’ve now piqued my curiosity to try and find out more about those originating the flows. Don’t hold your breath, though, since I’m not sure I’ll come up with anything very useful. I wonder where it’s at right now, given how much more prices have dropped since then!